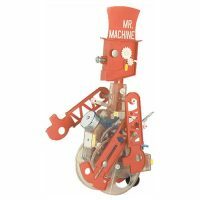 Robert the Robot is the Mechanical Man that talks, lights up his eyes and head, swings his arms, and is driven everywhere through a hand-cranked remote control. 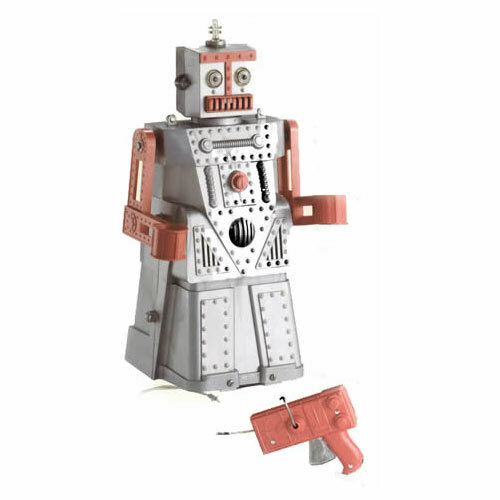 Early version had a removable belly button that housed a mini-metal hammer, screw driver, and pliers. 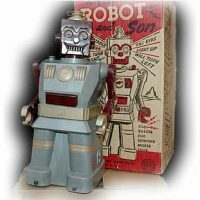 Issued 1954 by Ideal Toy Corp. as world’s first plastic toy mechanical man.